What is the Temperature of Lava? The temperature of lava when it is first ejected from a volcanic vent can vary between 700 and 1,200 degrees C (1,300 to 2,200 F). As you probably know, lava is molten rock that comes out of a volcano during an eruption. Although the Earth’s mantle is solid, it’s so hot that puddles of molten rock can form between the mantle and the Earth’s crust. This lava is less dense than the surrounding rocks, and so it makes its way to the surface through cracks and faults in the Earth’s crust. Eventually, it erupts to the surface. Even though lava is much thicker than water, it can flow great distances across the surface of the Earth before it cools and hardens. 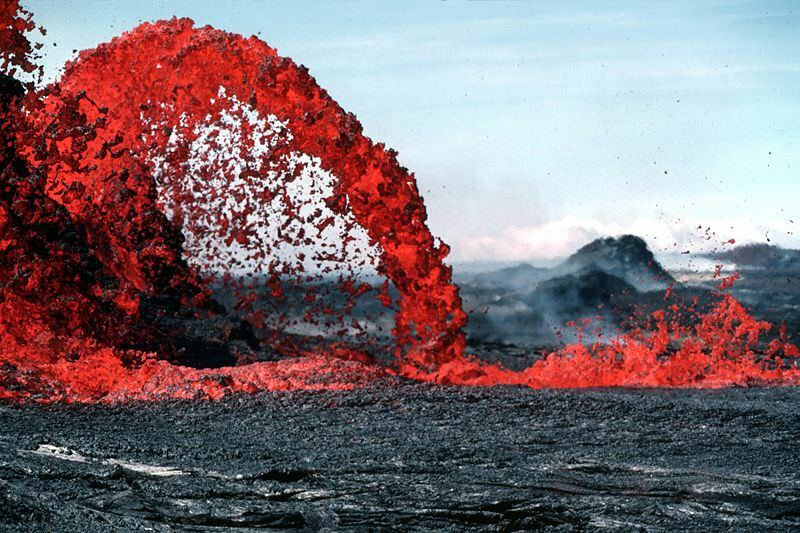 Some lava is very thin, and can flow many kilometers, while other lava is thick and doesn’t flow at all; it just piles up around the volcanic vent. Whether lava is thick or thin doesn’t depend on the temperature of the lava. Instead it’s caused by the minerals in the lava. The coolest lava are felsic lavas, which can erupt at temperatures as low as 650-750 C. Next are the andesitic lavas, which erupt in the range of 750-950 C. Basaltic lavas typically erupt at temperatures above 950 C.
We have written many articles about volcanoes for Universe Today. Here’s an article about the recent eruption of Alaska’s Redoubt volcano, and here’s an article about the biggest volcano on Earth.